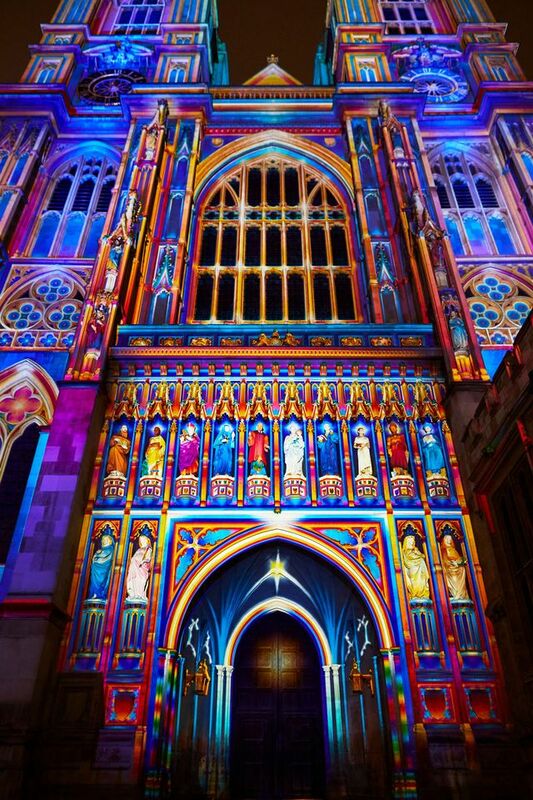 The Lumiere London (18-21 January) festival was launched today with more than 50 works by UK and international artists creating an immersive light and sound experience across the city, including The Light of the Spirit Chapter 2 by Patrice Warrener, projected onto Westminster Abbey. 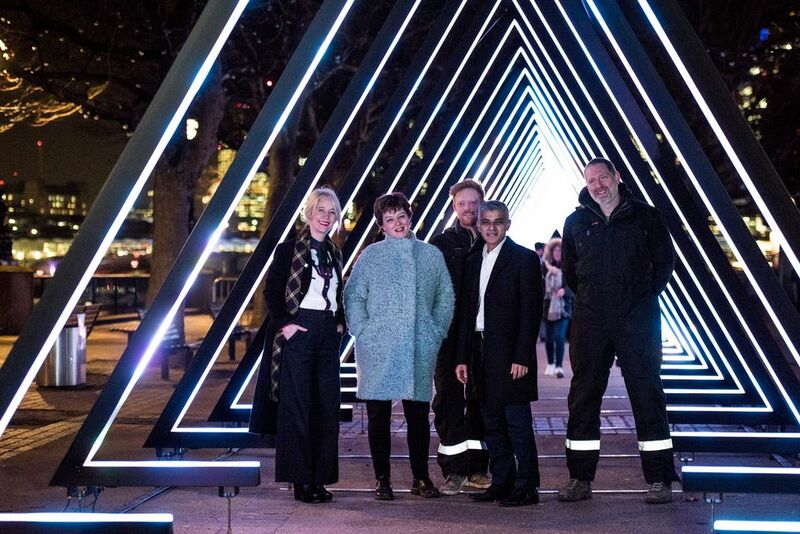 Streets in six areas of the city will be temporarily pedestrianised to give visitors the chance to enjoy the UK capital as an open-air art gallery. 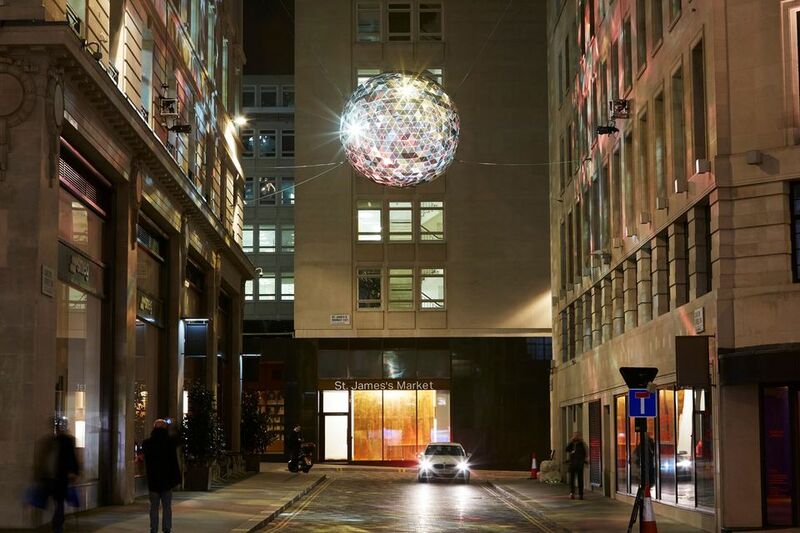 Works will be on show in King’s Cross, Mayfair, Fitzrovia, Westminster and Victoria, South Bank and Waterloo and The West End, where you can find Reflektor by Studio Roso in St James' Market. 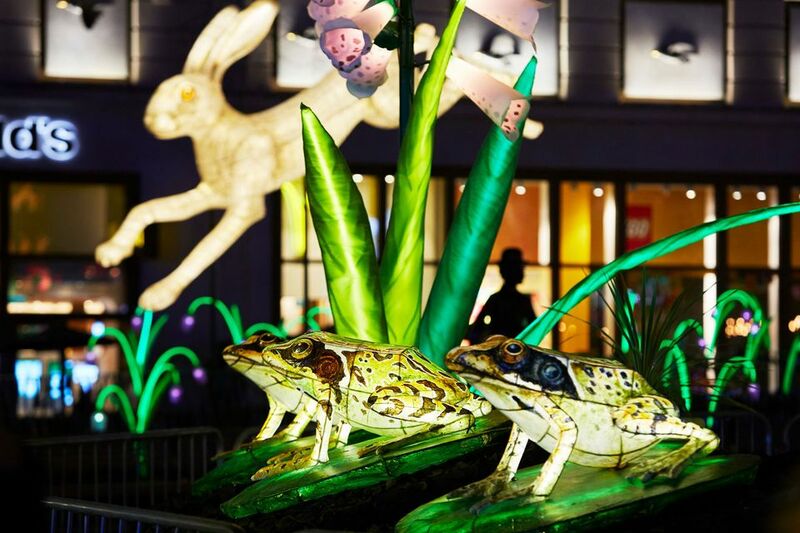 Among the works on show will be Nightlife by Lantern Company with Jo Pocock (above), in the West End; Tracey Emin‘s neon piece Be Faithful to Your Dreams, in Piccadilly; and Alaa Minawi will pay tribute to Syrian refugees with My Light is Your Light, in St James’s. 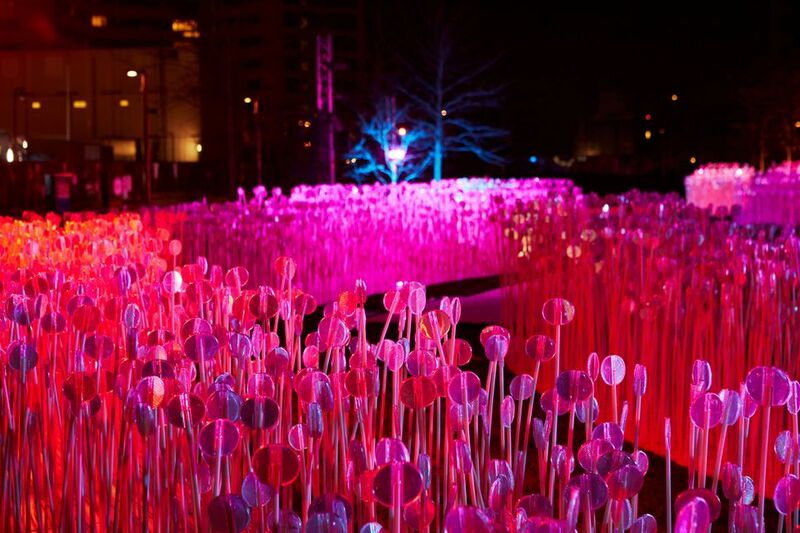 “Lumiere London promises to be one of the brightest and most exciting times of the year. I look forward to welcoming millions of visitors to the capital to enjoy this city-wide spectacle,” says the Mayor of London, Sadiq Khan. Here he is standing (second from right) in front of The Wave by Vertigo. Lumiere is produced by Artichoke, who first staged the festival in Durham in 2009, expanding to Derry/Londonderry in 2013 and London for the first time in 2016. The last London edition was attended by 1.3 million people. This year, visitors can enjoy works such as Entre Les Rangs by Rami Bebawi and KANVA.